1/2 Day Mini Camps for students aged 3-7 years old! In this 1/2 day camp students will learn various dance styles throughout the week in a 45 minute dance class including Ballet, Jazz, Tap, & Acro! Crafts, Games, Time Outside & so much more! August 19th-23rd 9:00 A.M. to 12:00 P.M. Registration includes GST, snacks & a camp T-shirt! Full Day Camp for students aged 8-11 years old! 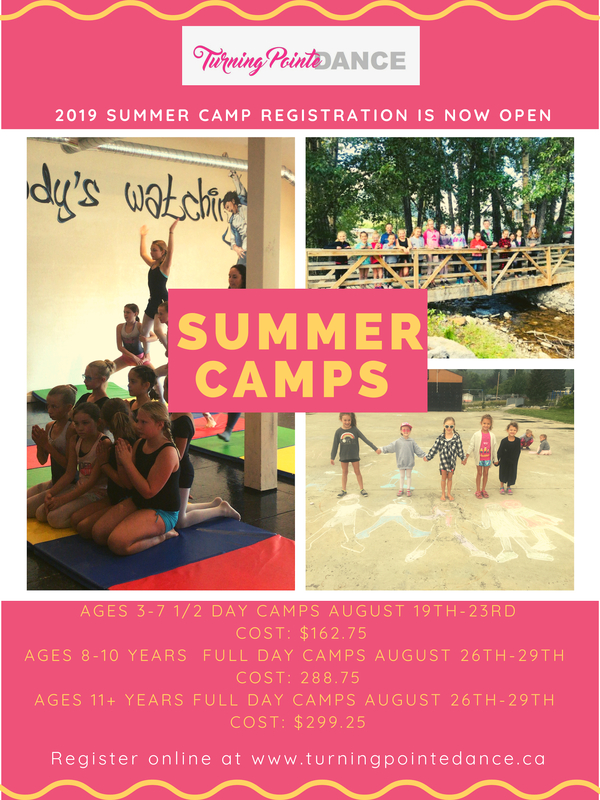 In this full day camp students will learn various dance styles throughout a full jam packed day including Ballet, Jazz, Tap, Hip Hop, Acro, Lyrical & Musical Theatre! Crafts time each afternoon & outside activities take place each day! 2 snack breaks & a lunch break each day. Registration includes GST, snacks, a T-shirt & camp sleepover on the last day! 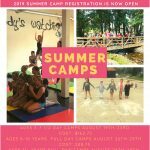 In this full day camp students will learn various dance styles throughout a full jam packed day including Ballet, Pointe, Jazz, Tap, Hip Hop, Acro, Lyrical, Contemporay & Musical Theatre! Crafts time each afternoon & outside activities take place each day! 2 snack breaks & a lunch break each day. August 26th-29th 9:00 A.M to 4:30 P.M.